One of the first 'no nose' McCoys. The forerunner to the Lazor Zap. 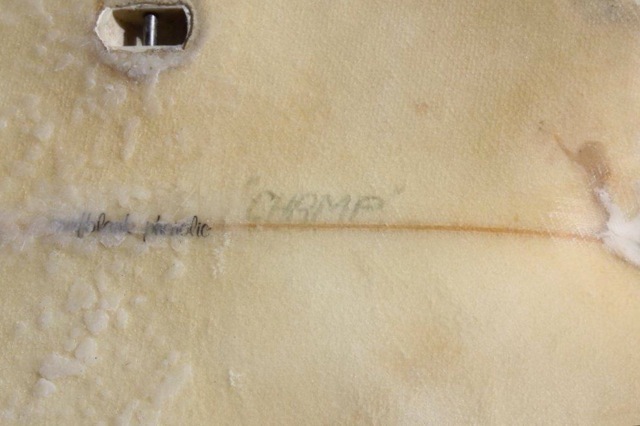 This outline, where the wide point is further down board away from the nose allowed for great maneuverability and set the precedent for the shape of boards to come. Cheyne Horan further explains the history and philosophy of one of surf histories most overlooked and under appreciated designs, Geoff McCoy's no nose Lazor Zap. 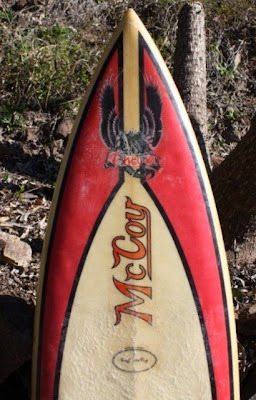 Geoff McCoy had an extremely talented surf team from the early 70’s. 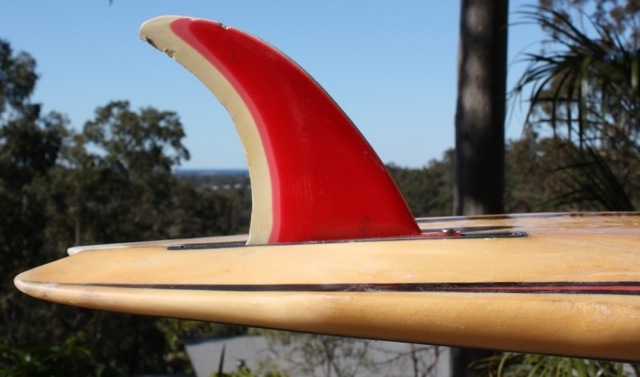 They were very experimental in the early days, boards were going all different directions, he was making the modern short boards double ended singles, twin fins, s decks and more, it was a very long and steep learning curve. 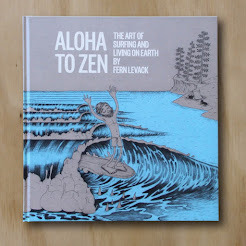 In the early 70’s Geoff went to Hawaii pursuing greater knowledge. 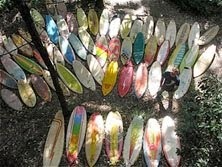 He found amazing success and in the late 70’s he went to USA and everyone there wanted his boards. 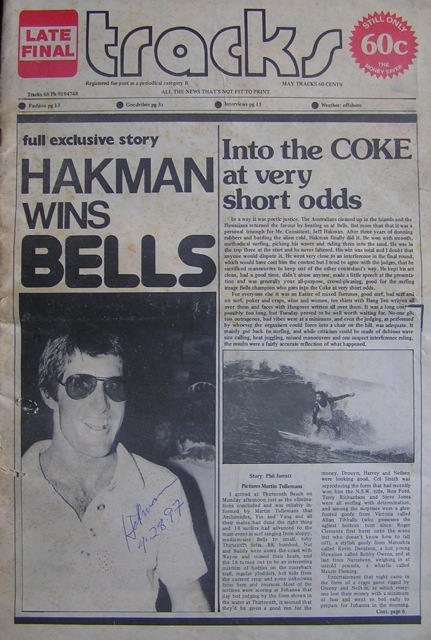 He made a few for Jeff Hakman in 1976 which Jeff won the Bells Beach contest on, becoming the first international surfer to win an Australian contest. 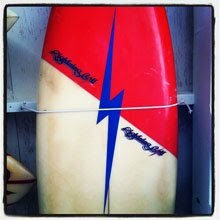 Hawaiian Jeff Hakman was riding a Geoff McCoy designed and shaped board. 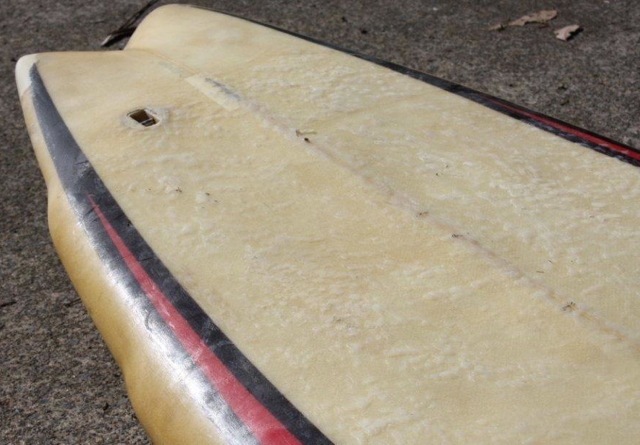 This really strengthened Geoff's perception of how important it was to have an extremely good understanding of everything the surfer wanted out of a board and what needed to go into the board to get the reactions the surfer needed and wanted. He was very impressed with how much Jeff new about board design and what worked for him, combining what Geoff McCoy knew and what Jeff Hackman understood they made some great boards together. 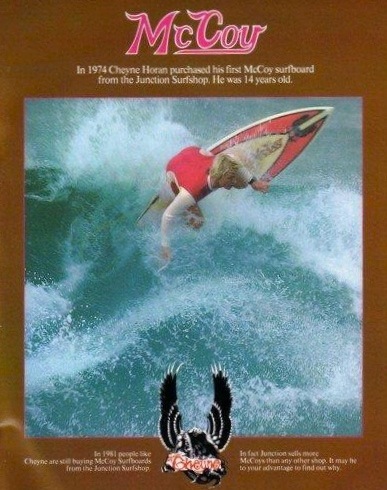 Geoff also worked with Australia’s best surfers at that time, along with Hawaiian surfers Barry Kanaiaupuni, Reno Abellira as well as South African great Shaun Tomson. 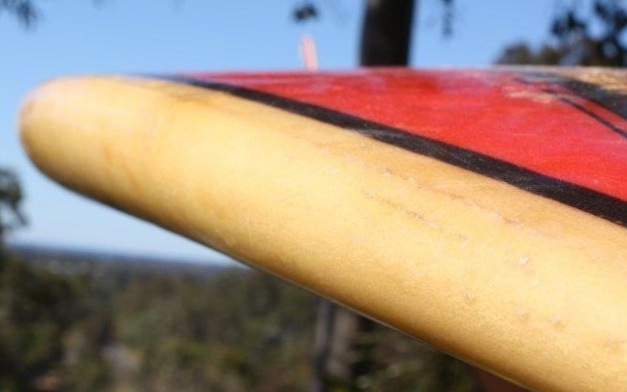 These associations broadened his knowledge of surfboard design giving him an amazing insight into individuals needs on a wave all around the surfing world. Geoff and I started our process in 1974 and in the early days it was all in Geoff’s hands. The results were fantastic, fast, quick, twitchy, formula 1 surfboards. For many years we used super 8 films, which took 2 weeks to process before we could look at the results, we would slow them down to see what was really happening, how the board was reacting in different parts of the wave. Because it was quicker to process what was happening and make instant adjustments to the boards and our surfing, Geoff would also watch me and the other team rider’s surf for hours every day, year in and year out. In the period from 76 - 81 we would sit on Geoff’s balcony overlooking the ocean, and talk for hours about boards, board design, surf history, surfers, technique, fins, waves, training, food and everything in life while we mowed down a whole water melon. This became an almost a daily ritual. 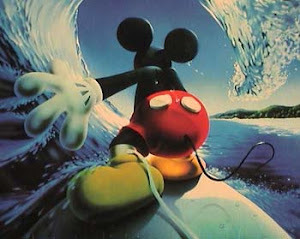 There was the best combination happening in surfing at the time. 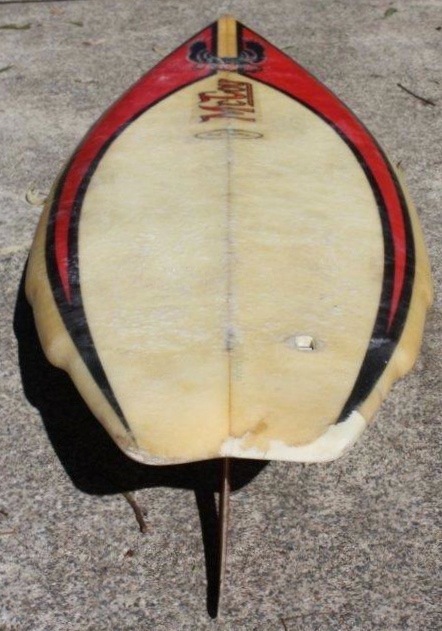 MR and Simon were making their own boards, Dane, Buttons and Michael were changing shapers regularly and Geoff and I and the whole McCoy factory were a team. The sprayer the glasser and the whole team were in unison, we were a formula 1 surfboard Team The” McCoy Team”. I would like to say thanks again to everyone who helped us and were involved in this whole process, the fun was in doing it, we were focused and making fresh ground for us and for surfing. 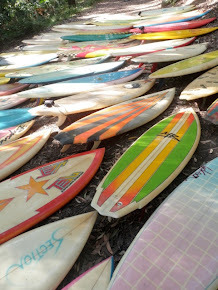 These were the golden times of surfing world -wide. 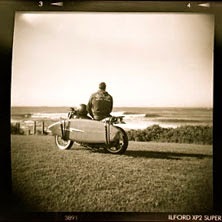 The whole crew were core surfers and totally pumped to be part of the team, it was the magic days of Avoca Beach. 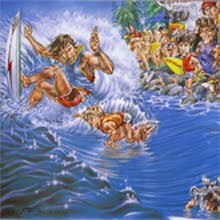 The way the Lazor Zap came about was that in the late 70's surfers would do a bunch of moves then jump up front to were the area was. I wanted to just do moves and not have to move, making it quicker between moves, to be the fastest surfer alive. There was always this small bit of lag time between turns and we needed to make it less, each move fitted into the other and you didn’t have to move to create speed. McCoy as the captain of the engine room came up with the idea of bringing the forward area back under my feet, so I didn’t need to shuffle forward onto it. This was a monumental breakthrough as all boards today use the similar concept, with a wider tail then the nose. Thus, technically, everyone is riding a lazor zap. Then putting curves and straights near my feet and stance to create speed and turning. This quickened my reaction time and there was very little shuffling forward only when I needed a long arc would I move forward. 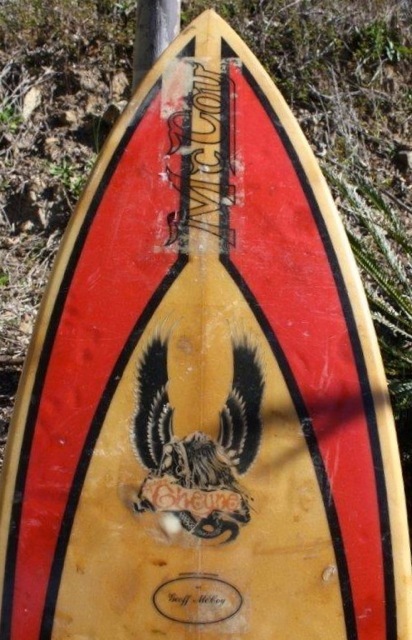 Boards with V would clunk from side to side and stay over longer then you wanted them to, McCoy created a roll allowing the board to roll side to side and forward and back with much more ease. 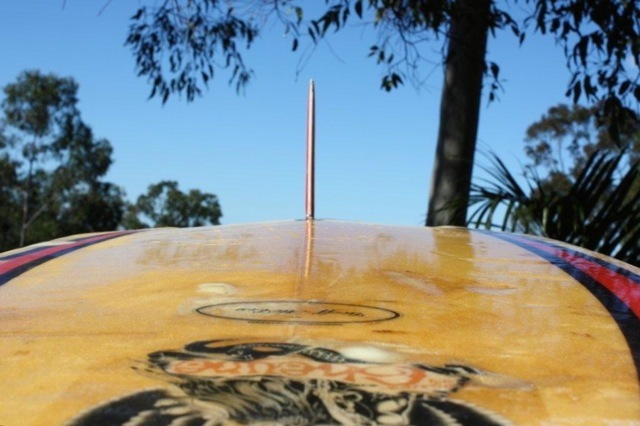 He called this concept the Loaded Dome, it offered greater speed, quicker reaction time as well as much more control to the surfer. The narrower nose was key. 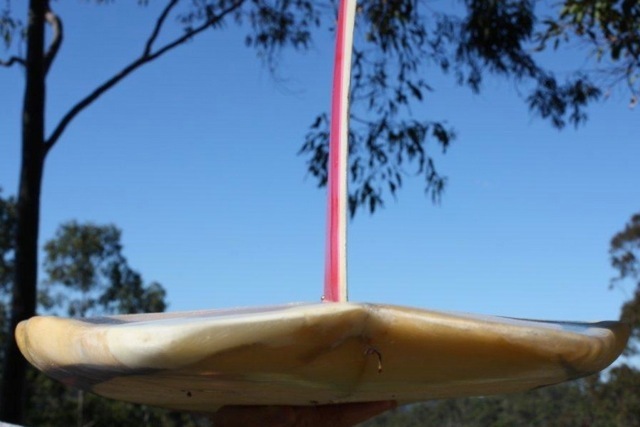 We pushed this design concept to the extreme with boards in half inch increments at a time. With the roll, the board was much easier to get vertical and surf in extreme positions on a wave, and at this time these boards could snap back inside the tube in a part of the wave where it was vertical, hard and pitching. This allowed me to find new areas of the wave and be able to turn with control. People with self interests and agendas who controlled the surf media at that time were saying it wouldn’t work because you need the area forward to step up and go fast. 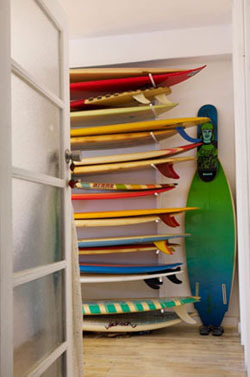 But we knew we were onto something good and went our own direction, alone, surfing were no surfer had gone before. 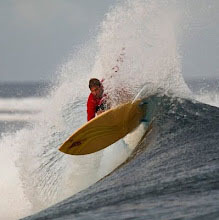 This was an extremely exciting time for me as my desires on how to surf a wave became a reality. 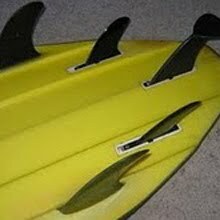 These boards freed my mind. 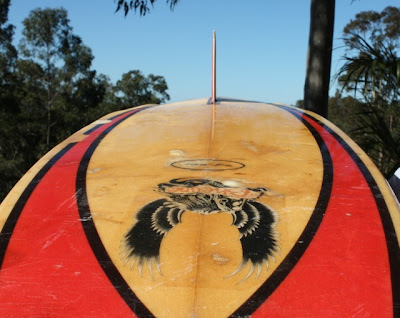 This allowed me to fully explore new boundaries with my surfing and how a wave could be ridden with much more freedom and control. This approach eventually evolved into the modern surfing that is done to this day. Great hearing it in the words of the man who was a huge part of it. 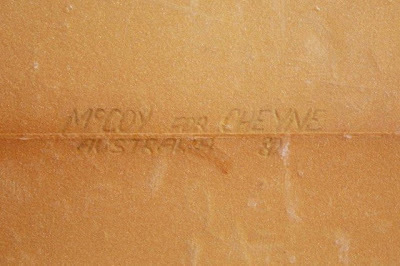 I for one have remained thankful for Geoff and Cheyne's work for the last 35 years. 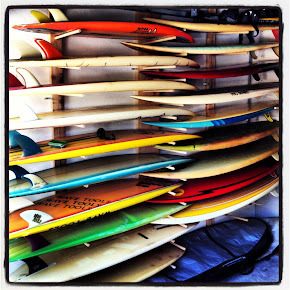 I have almost always had something like it in my personal quiver of boards. 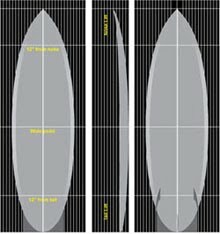 What I think is funny about the single fin resurgence of the last few years...they are making the same mistakes instead of starting with single fins at their apex which was the Zaps. Thanks Board collector for putting more of this information out there. I think that might be true if a modern (post 80's) surfing style is your goal. 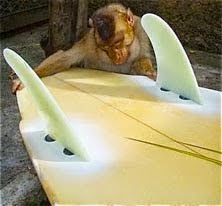 However I think some people like to approach surfing in a different way, it's more a feeling of flow and connection to the wave than staying on the tail and packing in more maneuvers. However, if you took as your point of departure the Lazor Zap, where would you take design next? Recently watched Cheyne in Stylemasters 2, fantastic moves! Thanks for a great read...I remember seeing Mike Tomson riding a board similar to this one, also a McCoy,it had a yellow stripe with those black v's airbrush, I think it was yours, on a small day at Ehukai sand bar, possibly on the day you were riding the board pictured above this one. I was quite impressed to see him ripping it up wit that board. I'd be stoked to get one like that today, it's a timeless design. Awesome photos. 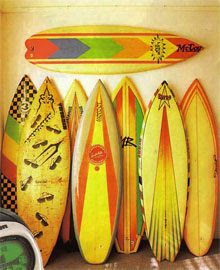 I had a board like that, bought 1979, but with one flyer. Similar spray, pink, white & blue. It was incredible. Those front rails loved a thick barrel section; the flyer-V-swallow tail did 1 o'clock backhand re-entries at will; & you could drive-slide lovely forehand cutties. 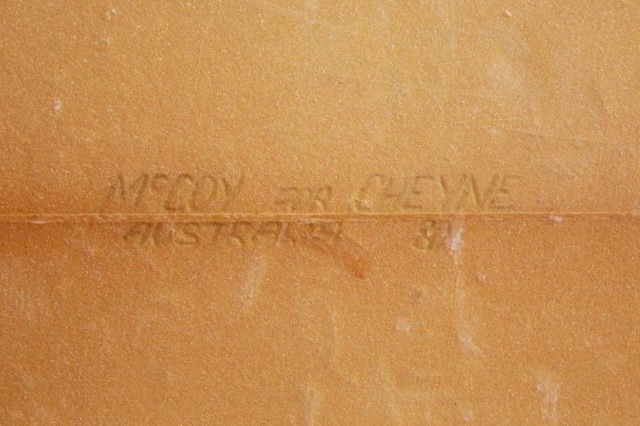 Really hot surfboard & state-of-the-art in 1979 (before Cheyne got wider with the boards).